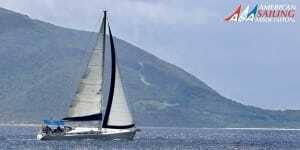 Directory of American Sailing Association sailing schools located in North West Florida where you can take beginning to advanced sailing lessons. ECY’s classes are all live aboard and have professional, dedicated, and compassionate instructors in an environment exceptionally well suited for learning all aspects of sailing. Our local sailing waters start off in the heart of the sailing destination of Pensacola Beach, allowing you to walk to restaurants, shops and beaches right from our marina. 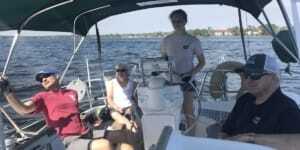 As your skills build, you will sail from sweet Little Sabine Bay, out into sounds & bays that make up the Intra Coastal Waterway, then out into the Gulf of Mexico. 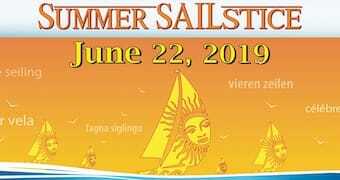 Floridaze Sailing is an award winning sailing school that provides sailing instruction, leisure lessons, and captained day sails along the beautiful Gulf Coast of Florida in the Pensacola Bay and Pensacola Beach areas. 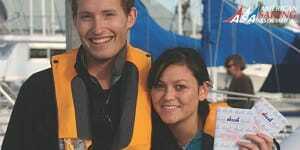 We specialize in private, live-aboard optional sailing classes for couples, families, and friends who want to acquire the skills needed for bareboat chartering, cruising, or future yacht ownership. Our sailing instructors are dedicated, accomplished sailors, and our senior sailing instructor, Capt. Bob Patroni, has over 40 years of sailing experience – he not only knows how to sail but he knows how to “teach” you how to sail. 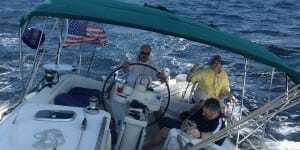 We are a sailing academy and sailing charter in Niceville, FL just north of Destin on Florida’s Emerald Coast. Locals and visitors can experience the magic of our beautiful home waters for a day, a weekend, or a lifetime.